Due to an illness in the family, Alyson will no longer be able to participate in the March tour with Rainbow Rowell and C.C. Hunter as previously planned. She sends her apologies for any inconvenience this may cause and thanks you for your understanding and support. Alyson is hopeful that she will be able to join the group for the April tour dates and looks forward to seeing you soon! 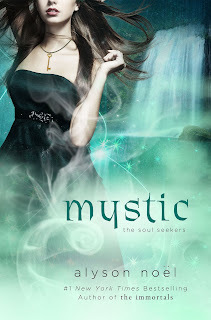 With the final SOUL SEEKERS books, MYSTIC hitting the shelves on 05.07.13, & HORIZON following on 11.12.13, I have a lot of touring in the works for 2013! And I'm so excited that I'm finally able to announce some of the upcoming events! ALPHA 21st Annual "A Day of Authors"
with Rainbow Rowell & CC Hunter! Teen pizza party! Details to come! Hope to see you at one of these events!! Please note, there are more places/dates still in the works, so check back soon! !